Privets are a fast-growing group of shrubs native to Europe or Asia. Privets grow as tall as 16 feet and form dense hedges with delicate white spring flowers and berries that attract birds in the fall. 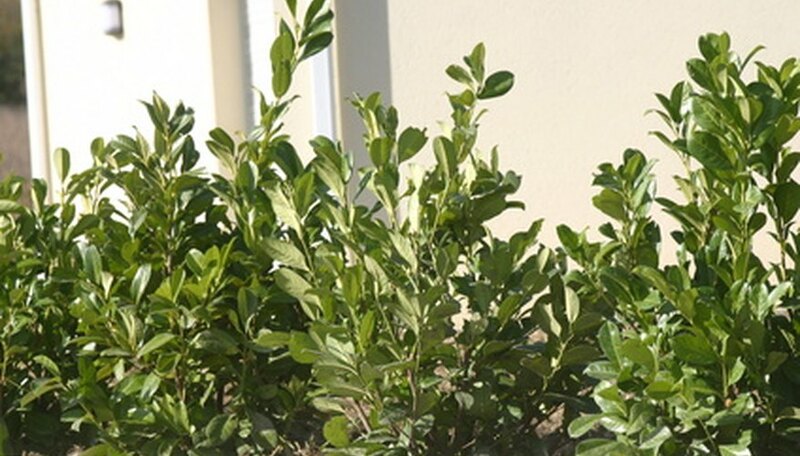 Maintained properly, a privet hedge is an attractive, nearly evergreen shrub. It is considered invasive in many parts of the United States, particularly in the Southeast. 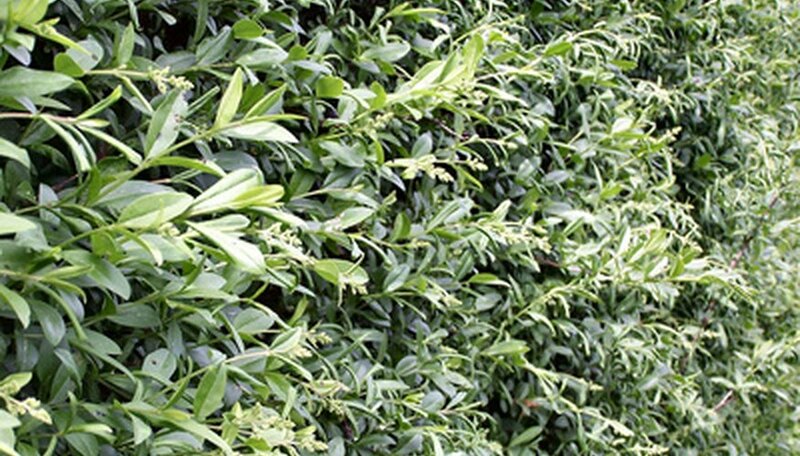 If you own a privet hedge, it is important to keep this aggressive grower under control by pruning it yearly and cutting back overgrown plants to bring them under control. 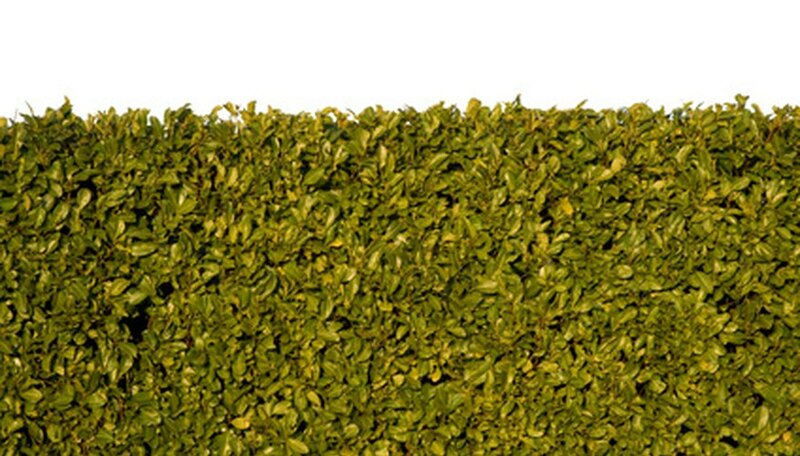 Trim privet hedges in early spring to control new growth. Trim them again in early summer to keep them neat and remove flowers before they can set seed in summer berries. Aggressive growers that get a lot of sun may need a third trim in summer. Clean out dead branches first, cutting all the way down to the ground. Removing dead branches allows more air circulation into the privet’s center. It also allows more light into this sun-loving hedge while encouraging new leaf growth in the lower sections of the hedge. Set limits for the hedge by cutting branches that hang outside of the limits of the hedge. Lop them off close to the ground. 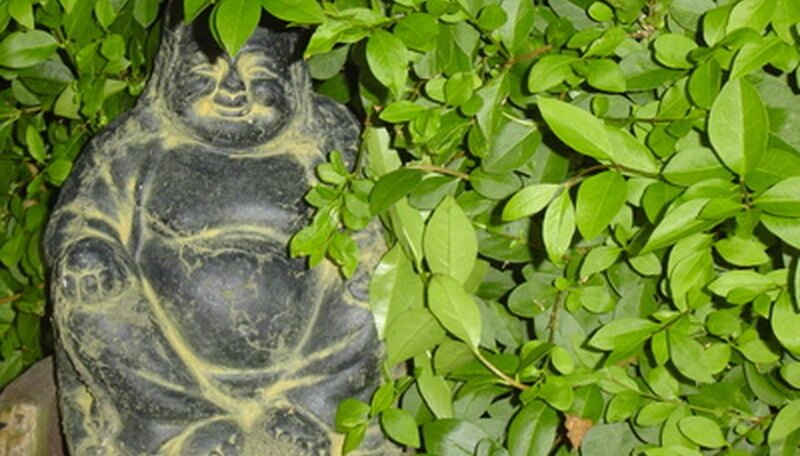 Remove old, thick branches each spring to keep privet trunks small enough to trim easily. Level hedges with electric or hand clippers. Tie a string from one end of the hedge to the other along the top as a guide and clip along the guide to establish a level top to the hedge. Brush clippings off the top to avoid the development of fungal diseases as the severed foliage decomposes. Shape the hedge by cutting branches just to the basic outline of the hedge. The thickness of the shrub should decrease with height so the wider bottom gets enough sun. Making cuts at growth nodes helps shape the shrub; cuts between nodes encourage thick bushing along branches. Privets are very tough shrubs. 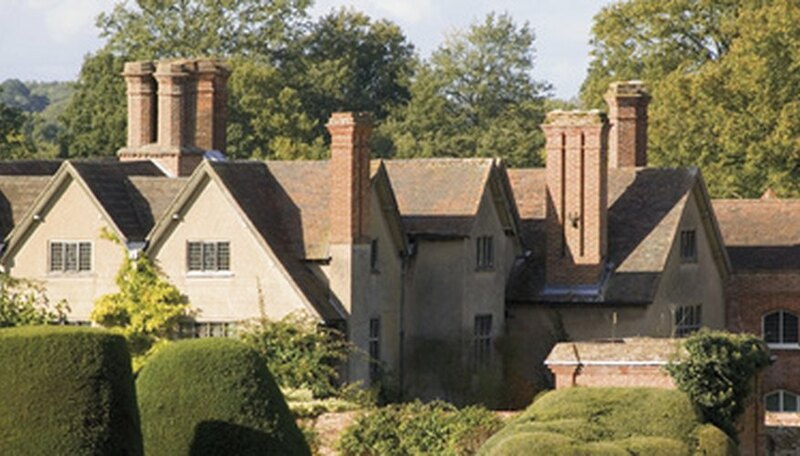 "Rehabilitate" overgrown hedges by cutting them back hard in fall to a few feet tall. They will double in height by early summer of the following year. When you do rehabilitate privets, take the opportunity to clean out dead twigs and branches that have fallen in the thicket. Always wear gloves when reaching into privets and other shrubs. Wear safety glasses when using hedge trimmers or working above eye level. Kill invasive privet by cutting off branches near the ground and spraying with a herbicide containing glyphosate. Hedge trimmers work well on thick privets, but whether using hedge trimmers or loppers and shears, clean up carefully after cutting privets. Clear away flowers and berries to avoid seeding new plants.